Legendary Grammy Award-Winning Vocalist Patti Austin Joins Australian Trumpet Maestro James Morrison, With The Melbourne Symphony Orchestra! 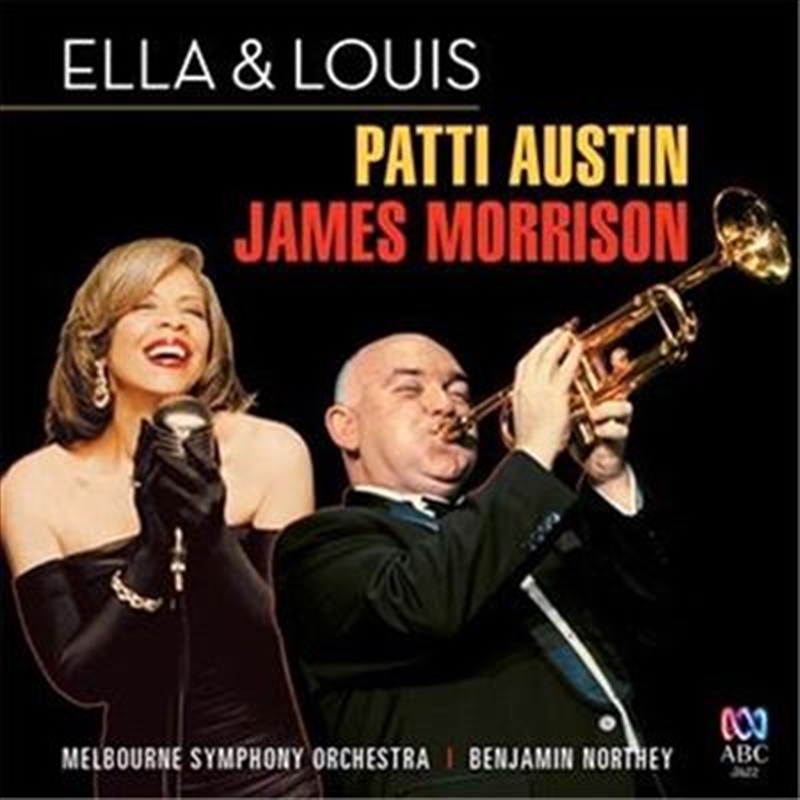 Legendary Grammy award-winning vocalist Patti Austin and Australian trumpet maestro James Morrison come together to relive the timeless hits of Ella Fitzgerald and Louis Armstrong in their new album on ABC Jazz. Recorded live in concert across two sold-out nights at the Melbourne International Jazz Festival, Austin and Morrison are joined by the Melbourne Symphony Orchestra in a celebration of the centennial of Fitzgerald's birth. Patti Austin experienced the legendary pair first-hand: “To grow up watching, learning from Ella and Louis, and now to do my part to hopefully enhance their legacy – it just doesn't get any better than that! ', she comments. Few performers have the credentials to pull off a fitting and genuinely thrilling tribute to 'The First Lady of Song' – Ella Fitzgerald – but Austin possesses the heritage, experience and voice to do so. Since debuting at the Apollo Theatre at the tender age of four Austin's six-decade career has seen her work with artists as diverse as Randy Brecker, Michael Jackson and George Benson. As a virtuoso instrumentalist and ambassador for jazz, James Morrison has followed closely in the footsteps of Louis Armstrong. In 2017, Morrison was invited to perform in a tribute to Armstrong at the BBC Proms, earning stellar reviews across the international press; his Great American Songbook, recorded at Abbey Road Studios, recently won the ARIA Award for Best Jazz Album. Morrison and Austin reunited for this recording after their previous performance together at the Montreux Jazz Festival with Quincy Jones.